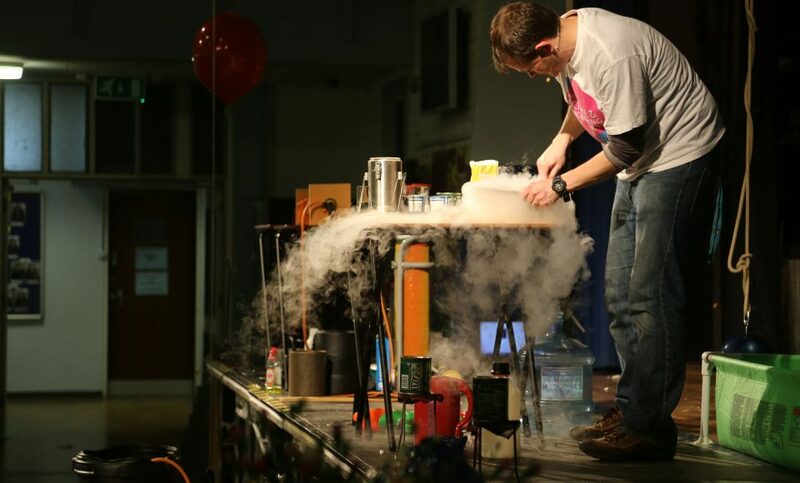 Saltash.net celebrated British Science Week with an action-packed and informative Science show, led by Science teacher Mr Granville-West. 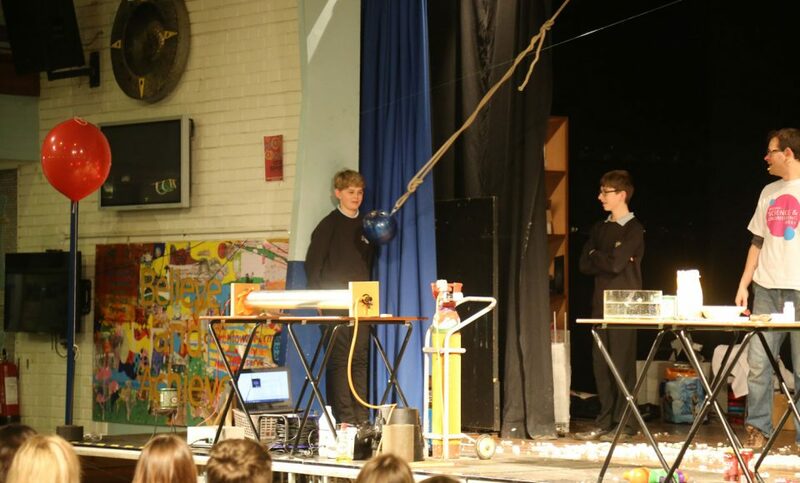 Mr Granville-West, ably assisted by members of the Science department, delivered the show to three different audiences on Tuesday 28 March, with all enjoying the experience. 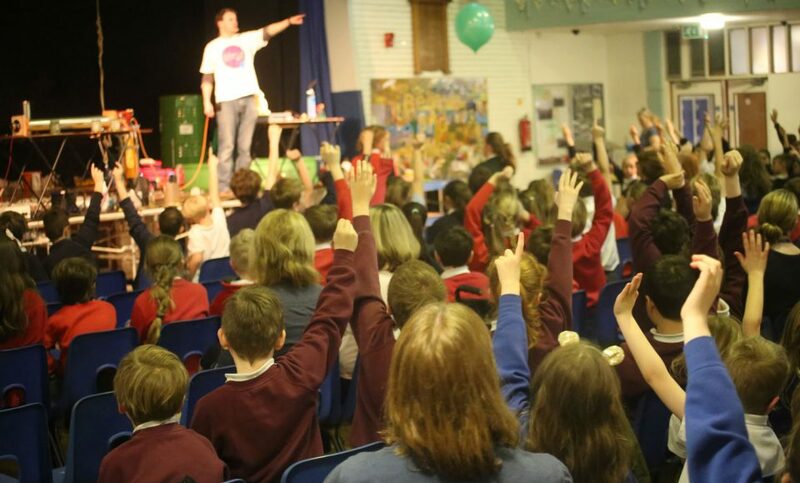 Students from local primary schools visited saltash.net for the morning show, with students from Year 7, 10 and Sixth Form attending the afternoon shows. 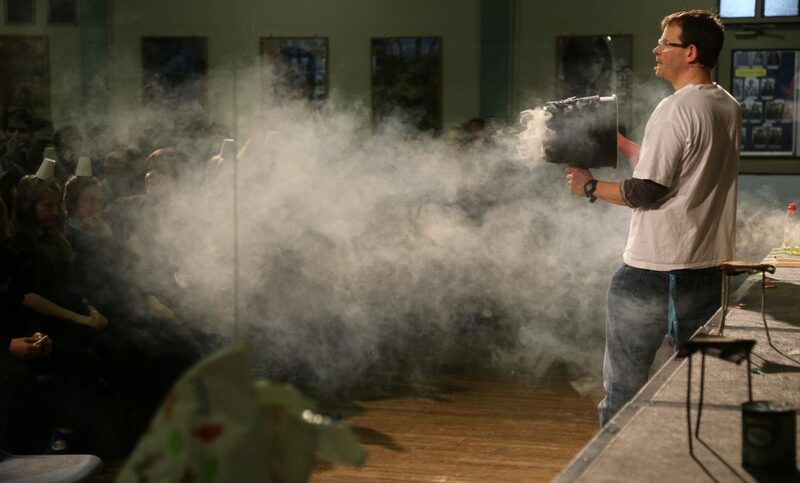 One of the key demonstrations revolved around the power of liquid nitrogen, and how it is used. Mr Granville-West showed how liquid nitrogen can freeze objects almost instantly – a key part of the process used to create ice cream! Another experiment demonstrated what happens when pressurised gas has no release point. Mr Granville-West filled a plastic bottle with gas, before shutting the lid and placing it in a confetti-filled wheelie bin. Each audience waited in anticipation for the eventual blast, which blew the bin lid open and shot the bottle high into the air. 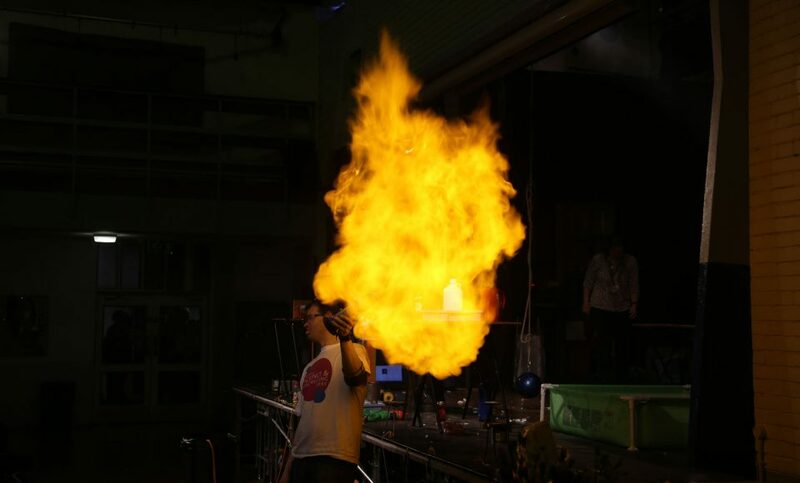 The shows drew to an explosive close, with Mr Granville-West and Mr Henderson displaying the flammability of gassy foam, as well as what happens when you pop a balloon with a flame. Year 7 enjoyed the show so much they gave it an spontanteous standing ovation! “Mr Granville West was outstanding in his presentation, commitment and enthusiasm, so much so that outside visitors asked if we had hired him from the University. 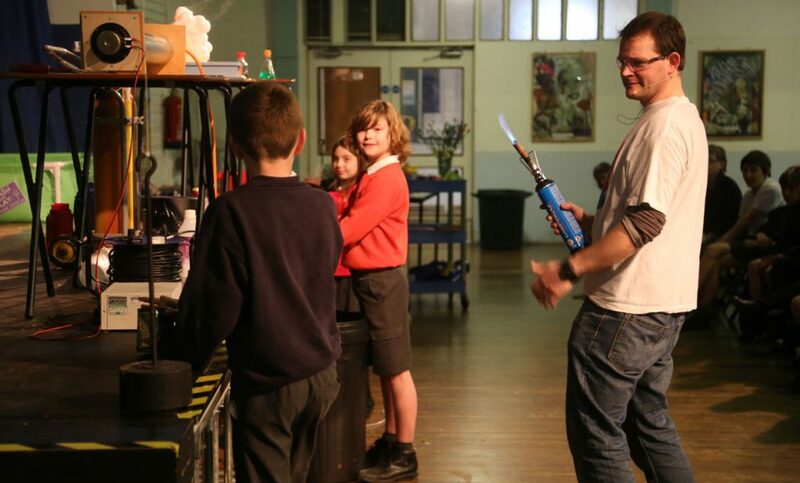 He is just one of our excellent science teachers here at saltash.net,” he said. “The science show was very interesting. There were loads of bangs and fizzes and we saw Sir mix cream with Oreos and liquid nitrogen (don’t worry, we all tasted some!). It was actually surprisingly nice. We learnt that when you have a swinging bowling ball, the energy stored as it swings wears off and the swing isn’t as powerful. Our thanks go to Mr Granville West and the wonderful science technicians for all the hard work that went into this.